Our 10th Anniversary Celebration and new website reveal! Our 10th Anniversary Celebration and new website reveal! We are grateful for so many years in business! Sakura Designs is an offshoot from Chopa.com, the parent company, split in 2006. The owner, Dawn Boiani was starting her family, and a full scale Dharma Supply company was too much to run. She thought she’d make a few malas as a stay at home mom, but in 10 years we’ve grown into a full fledged mala manufacturer. Warmest thanks to you all! 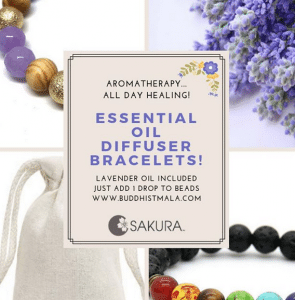 https://m2z7f4d7.stackpathcdn.com/wp-content/uploads/2016/07/meditation-malas.jpg 553 828 Dawn Boiani https://www.buddhistmala.com/wp-content/uploads/2019/03/mala-bead-logos.png Dawn Boiani2015-04-09 15:37:262017-10-29 03:40:25Our 10th Anniversary Celebration and new website reveal!